Division One champions West Pier continued where they left off at the send of last season and look strong favourites to retain their title in 2017. Pier have charged to nine wins from nine in the league, while also making progress in the cup competitions too. Their nearest challengers in the Division One table are Hunmanby United, who are six points adrift having played one game more, with Newlands, Edgehill and Filey Town also eyeing up a surge up the table in 2017. At the foot of the table, struggling Cayton remain rooted to the bottom with only three points from nine games. 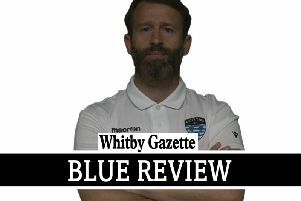 Three points clear of them are Westover Wasps, with Whitby-based sides Whitby Fishermen and Sleights looking reasonably safe on eight and nine points respectively. The reserve sides continue to dominate in Division Two, with Filey Town’s second string currently sitting pretty at the top of the tree. West Pier Reserves flew out of the traps, but a recent dip in form has seen them drop to second, with Edgehill Reserves in third spot. Seamer Reserves will fancy their chances of lifting the title, they’ve won seven of their nine league games so far and will look to players like Nick Hegarty, Tom Adams and Mark Barber to fire them to the top of the table in 2017. FC Rosette have endured a miserable season to date after winning promotion straight back from Division Three. They’ve managed to draw one of their 10 league games, but had three points deducted after failing to raise a side. Duchess and Cayton Reserves lie just above rock-bottom Rosette, both sides have struggled to raise a team all season and will be hoping for better fortunes in 2017. Newly-formed Edgehill 3rds are top of the Division Three table heading into the turn of the year. Itis Itis Rovers remain favourites for the title, they sit four points adrift of Edgehill with three games in hand and will be hoping the likes of Sam Pickard, Luke Jones and Curtis Rose will fire them to silverware. With Edgehill 3rds ineligible for promotion, the chasing pack of Sherburn, Goldsborough United and Commercial will be hoping to take up a place in Division Two. Andy Adamson’s Sherburn side are in pole position to gain promotion, they’re third in the table with an identical record to Itis Itis, but remain third on goal difference. They host Goldsborough United, who are directly below them in the table, on the first weekend of 2017, looking to re-affirm their promotion push. Relegated Ayton are bottom of the pile after amassing only four points from nine league games after dropping down from Division Two. They’ll be looking to claw back Goalsports Reserves and Seamer 3rds.